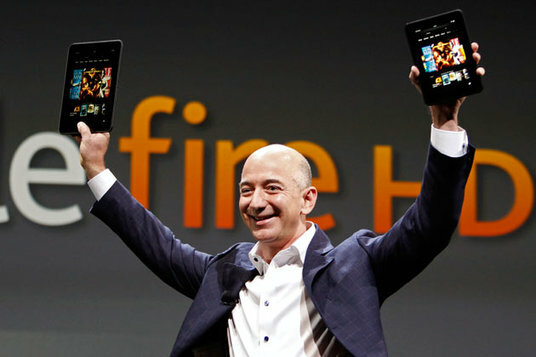 Amazon seems to have turned the tablet market on its head once again with the launch of their new Kindle Fire models. The models include an upgraded version of the original Kindle Fire at $159 and new Kindle Fire HD models with a 7-inch and 8.9-inch screen at $199 and $299 respectively. All Kindle Fire models are said to be ad-supported to enable the low price point. As I predicted, the tablet price wars are now in full swing. Amazon also added a 4G LTE option for the 8.9 inch Kindle Fire HD model (with 32 GB storage), which will retail at just $499. This should help expand Amazon's target consumer base. Amazon will also be expanding the tablet's distribution from US to Europe, which should help generate far more sales than the original Kindle Fire. Amazon's product and pricing strategy retains some competitive advantages in the face of rising competition from Google's Nexus 7 tablet and other upcoming tablets like the iPad Mini. The Kindle Fire's USPs, in conjunction with their pricing strategy should help keep their products competitive in the low cost tablet space. In addition to this, the $299 price point of the 8.9-inch version could help steer a few value conscious consumers away from the iPad Mini, which should retail at the same price, but the overall impact could be muted. This product launch, in conjunction with the Nexus 7, should help the Android platform gain significant share in the tablet market. Conclusion - Overall, I'd expect the new Kindle Fire models to be very successful and help push the Android platform's market share, but I don't expect this to affect the sales volume of major competing products. As I've stated before, the tablet market is ripe for explosive growth and all existing major players should see strong sales. However, the Microsoft Surface & Windows 8 tablets are a different story.